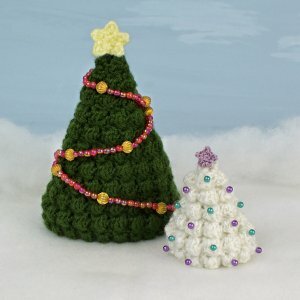 An original Christmas Tree crochet pattern by June Gilbank. Bonus pattern to make star tree-topper also included! Date Added: 10/24/2017 by Katherine W.
Date Added: 12/18/2016 by Guinevere M.
Date Added: 02/20/2015 by Janet L.
Date Added: 12/22/2013 by Jeanne S.
Date Added: 10/31/2013 by Linda S.
Date Added: 12/19/2012 by Joanne F.
Date Added: 12/14/2011 by Monica B. Date Added: 12/25/2010 by Cora S.
Date Added: 12/05/2010 by Sandra Å.